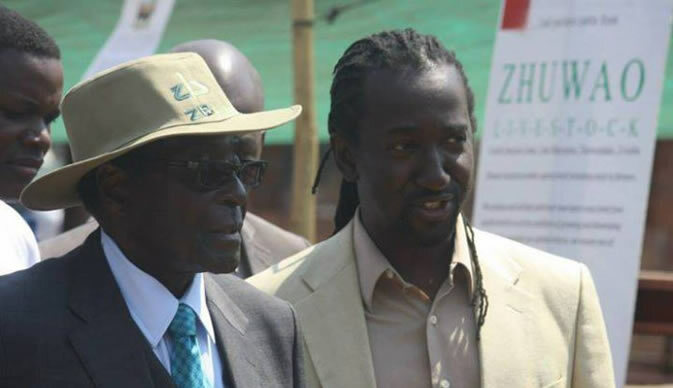 The self exiled Public Service Minister and nephew of Robert Mugabe, Patrick Zhuwao has been warned to stop making inflammatory remarks concerning the calls for his uncle to step down in that it will not sound well with some and may fuel serious violent crisis. Zhuwao said in eNCA and Studio 7 that his uncle was not a type of a person to be forced out and he will not go anywhere. He said what was done by the military was a clear coup which must not be legitimised by the Southern African bloc. He described the people who came out in the march as foolish. Zanu PF Nick Mangwana‏ warned Zhuwao to stop the inflammatory remarks saying there are dangerous and are a threat to peace. "I think Cde Zhuwawo should stop his inflammatory statements. Nobody wanted to vindictively pursue his uncle and family as long as they are not in power. But if he keeps going as he is he is risking that happening. Some people will “catch feelings”. Friendly advice," he said.